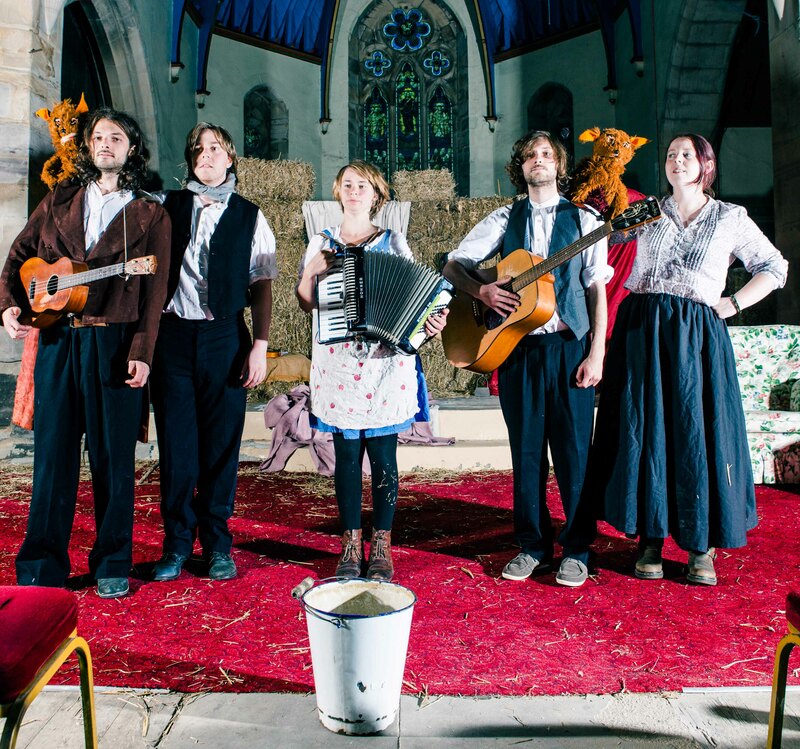 Backscratch Theatre | We aim to bring high-quality touring theatre to rural communities and beyond! Backscratch is a newly formed theatre company based in County Durham. Drawing inspiration from the North East, we mix theatre with music, media, & anything that suits! It is made up of four writers, performers and musicians. Jack Burton, Michael Daynes, Tom Burton, Laura Emerson. Jack Burton was born and reared in rural County Durham on a diet of fresh air, football and reggae. He went away to the big city and graduated with a degree in music from Goldsmiths University of London in 2008, spending much of the time locked away in a studio carefully editing strange noises. But he missed hearing sheep and cows, so he moved back to the north and has since performed and composed for theatre and film across the country. Michael (Mike) Daynes was raised in the greatest town in the world: Darlington, where he spent his days cycling in the local park and playing computer games. When he was 11 he decided that Drama training was the way to go so he passed grades 1-7 in Speech and Drama at Guildhall Trinity. He is currently studying for his diploma in Speech and Drama. For a few weekends a year he helps to run the Darlington Festival for Performing Arts, the same festival that gave him the love of acting. (He doesn’t tell anyone that he got stage fright the first time he took part). He lives in Darlington with his wife Lucy and their pets: Tiffany and Stevie the fish. His hobbies include sleeping and house work. Laura spent her childhood in the school library reading big books with no pictures. When she turned 13 she ventured out into the real world and became a founding member of Jackass Youth Theatre following a Jack Drum half-term project. Then she just kept showing up until they gave her a job. In 2004 she went back to the library to study English (with Writing / Performance) at the University of York and hobnobbed with the rep theatre-types. On her return she jumped straight back into Jackass as facilitator, writer, and co-director. Rather than get a real job, she became a free-lance drama and music practitioner / performer in 2007 and embarked upon a life of creativity and poverty.In 2011 she graduated from Newcastle University with a Masters degree in Creative Writing. She visited the campus library twice. Tom Burton is an actor, singer-songwriter and community artist. 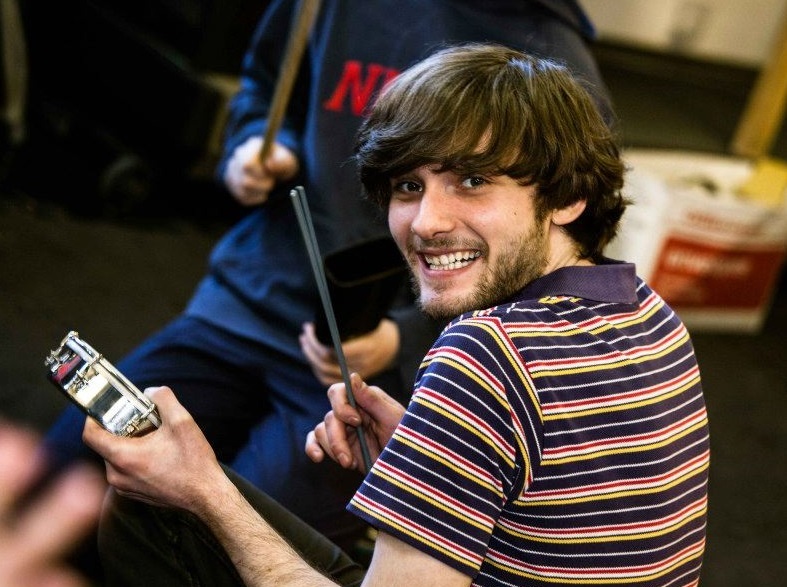 He trained at Dartington College of Arts in Contemporary Theatre but is back home in his beloved County Durham with his beloved friends to make engaging and fulfilling Theatre and Music. His main interests are Football, Wrestling, History (Natural and Human.) As a performer he idolises Rik Mayall, Daniel Bryan and Art Garfunkel. An ever chipper person, Tom brings an air of levity to any work environment. Top photo features Actor/Musician Katie Tranter with the Accordian.